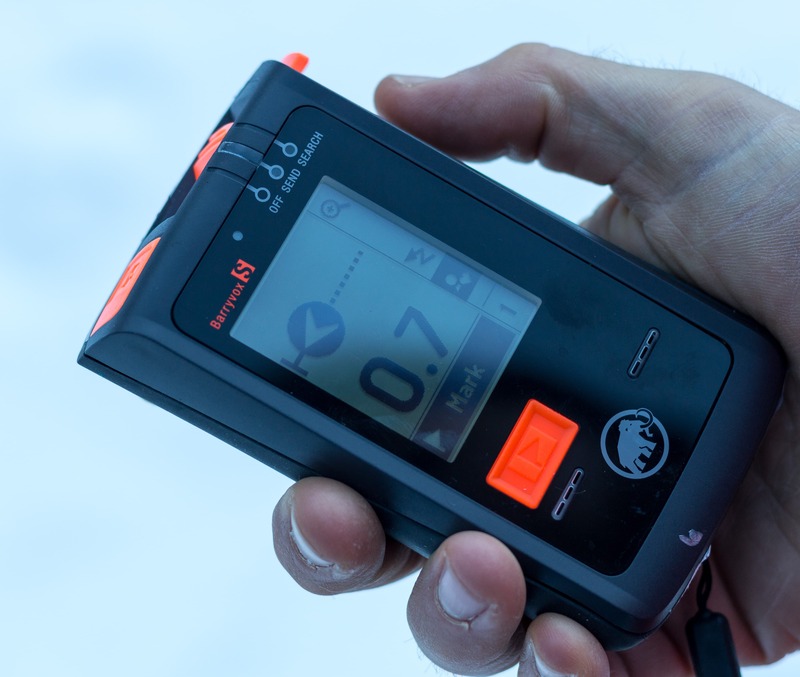 Mammut is replacing the very popular and successful Pulse and Element transceivers with the new Barryvox S & Barryvox. This review focuses on the Barryvox S, the more versatile but complex of the two options. And while the new Barryvox is basically a ground-up redesign it’s inherited a few similarities in programming from the Pulse. A welcome surprise as it gives it a familiar feel to anyone upgrading along the Barryvox line. Back of the Barryvox S. As with the Pulse the back of the transceiver doubles as an emergency cheat sheet. And yes, they do show a grid instead of the circular spiral for probing. W-Link: coms channel for extra info, better search performance (claimed), etc. I recently had the opportunity to spend a week testing out the Barryvox S with some help from Manuel Genswein, one of its designers and a true snow-safety guru (or geek). This article is basically a review of my first impressions and is not intended to be a full-blown, detailed review… that may come later. Group Check Mode. The photo shows a successful check: the person graphic is filled in and has a signal icon above them. This is accompanied by an audible beep as well. Of course this isn’t an exhaustive list, just a few of the improvements that really stood out for me. When the new Barryvox S is first turned on, group check mode activated or switched to Search one of the major changes is clearly evident: it’s fast! The waiting time for the on-board computer to fire up or switch modes is reduced by at least half. This improved speed is also evident in other functions as well. The incoming signal processing is quicker allowing a searcher to move at a faster pace for example. There are also some improvements in how the Barryvox S deals with multiple signals and marking. I found fewer marking function failures & dropped marks due to overlapping signals, a more consistent list of buried subjects, etc. The annoying prompts to stop and wait whenever there’s a signal overlap are also gone. Of course the problem of overlapping signals still exists. The processor and programming are just more capable of dealing with these issues with faster re-acquisition and recognition. Signal Search Mode. Many of the graphics on the Barryvox S are animated. The searcher in this photo actually moves down the avalanche path for example. I’m not sure how I feel about some of these animations though. The searcher should be looking for clues on the surface of the debris! Fine Search Mode. The Smart Search feature wants the person to move left as is indicated by the arrow. 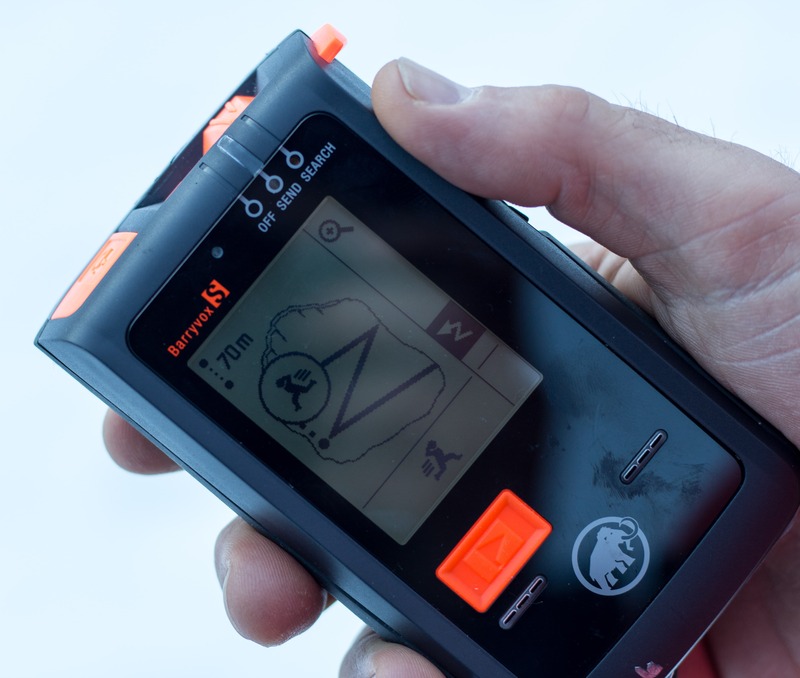 The searcher can also Mark or Flag this transceiver at this point as the option is lit-up on the bottom of the screen. The range is also noticeably improved over any other transceiver I’ve used. 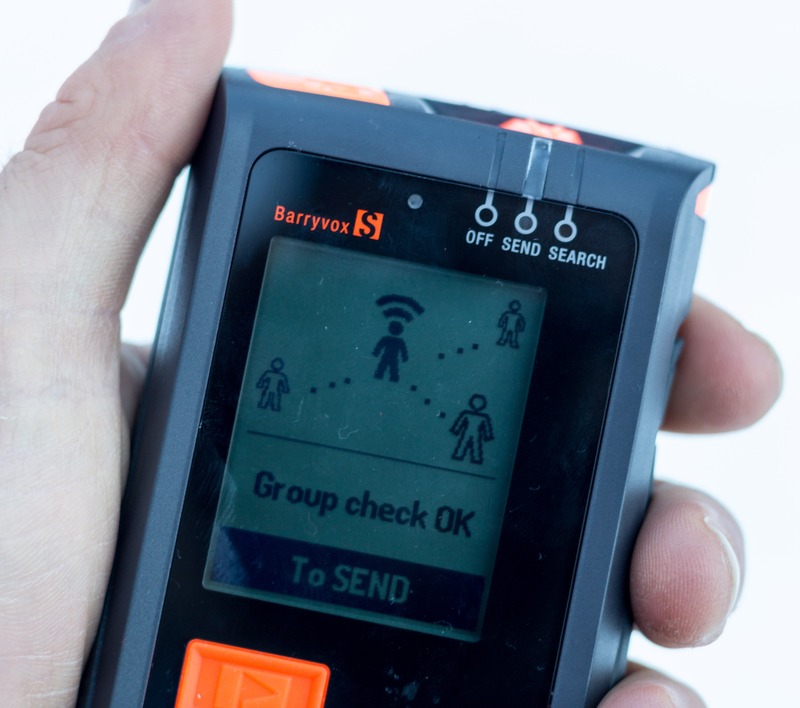 Barryvox S would reliably pick-up unburied transceivers in the 70m+ range. The Extended Range search mode turns off the display (the screen itself can create background noise given its proximity to the antenna) and supposedly increases the range to the 80-100m zone. In practice I didn’t find that this Extended Mode increased the range much if I waited for the transceiver to pick-up a signal and switch back to the normal search mode. However, it did allow me to hear a “beep” from further away (in pro-mode) which would get me moving in the right direction. A great option when looking for a lost skier. Coarse Search. The range on the Barryvox S is impressive. A very bright Flag button is located on the front of the unit. In addition to being used to flag buried victims it’s also used as a select or enter type button when navigating menus. A great feature! Small Up and Down buttons are located on the right hand side of the unit. These are used to intuitively navigate through menus and options but can be hard to operate when wearing bulky gloves. The Lock/Power-Send-Receive slider button on the top on the unit is similar to the Pulse but a bit more glove friendly. Off-Search-Send Slider & Lock Button. Some tweaks to the layout has made it much easier to use with gloves over the Pulse. The new Barryvox S represents a significant improvement over the Pulse and sets a new standard for professional level transceivers. However, they’re still very new with a limited amount of field testing. As more and more people start using them I expect that Mammut will have a few software bugs to work out. Overall: The new Barryvox S is a big step forward in transceiver tech. 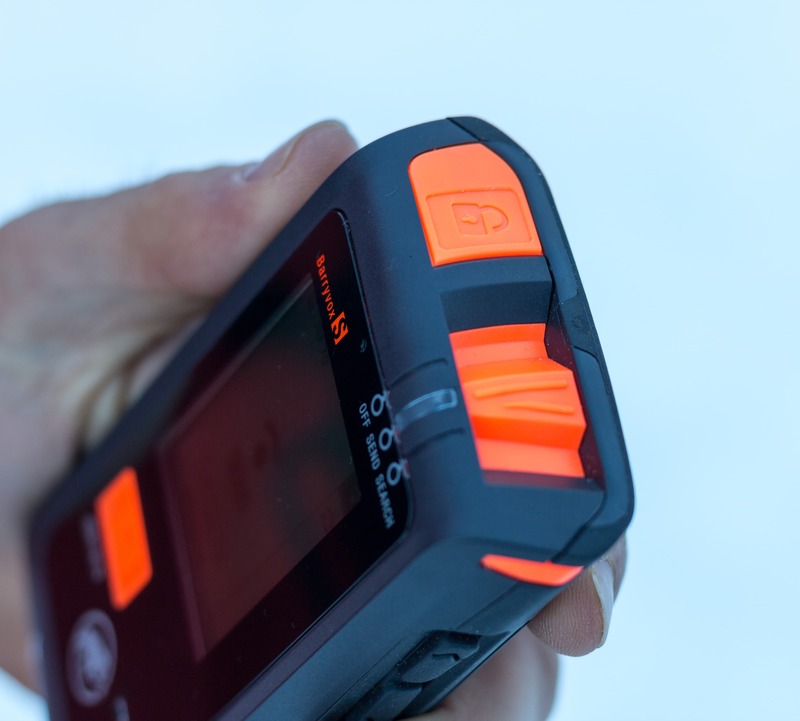 Ideal for snow safety professionals, guides and advanced recreational users. 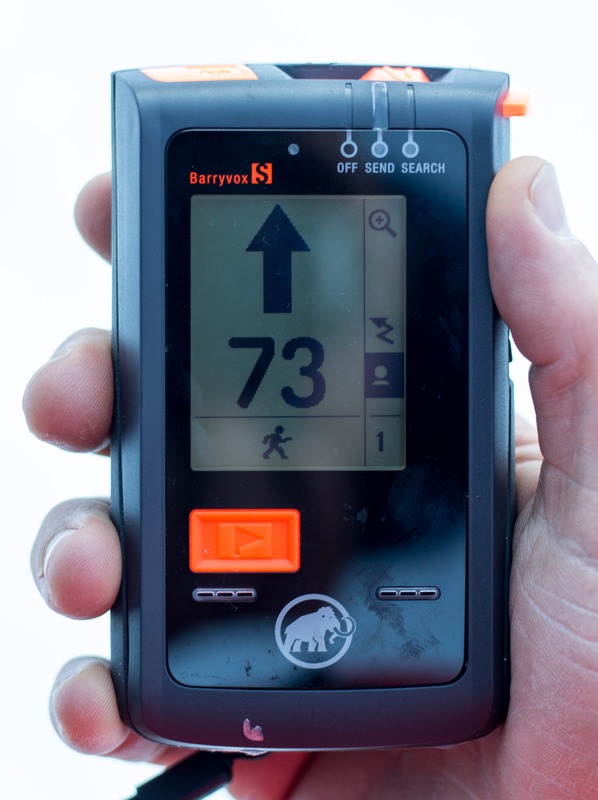 Less experienced backcountry enthusiasts may want to consider the simpler and less expensive Barryvox. 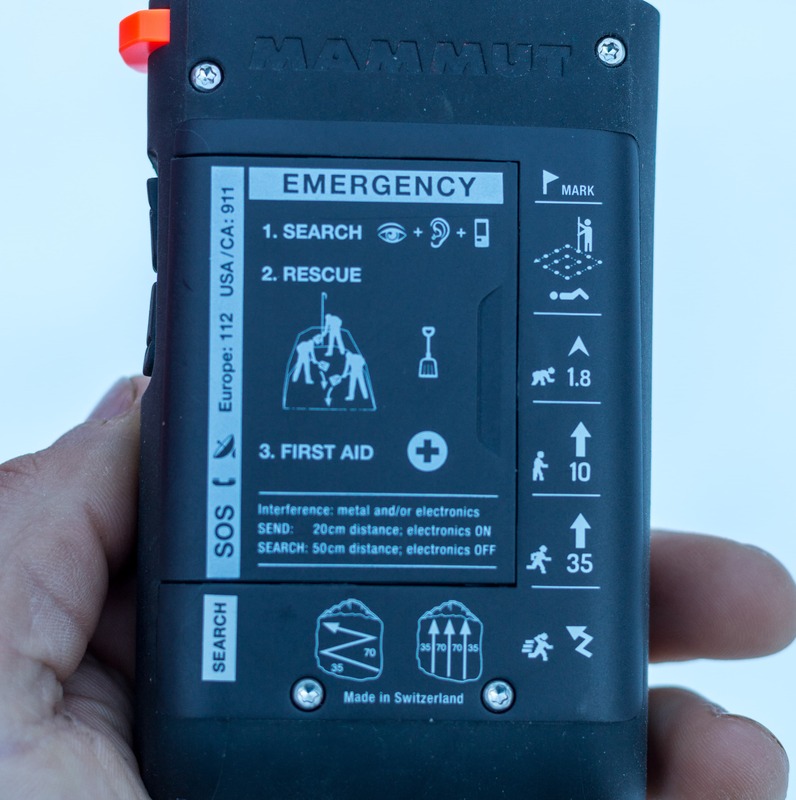 I was provided the transceiver as part of my work as a ski guide, not from Mammut, and don’t receive any remuneration for this (or any) article. The views expressed are mine and free from influence. Monte.